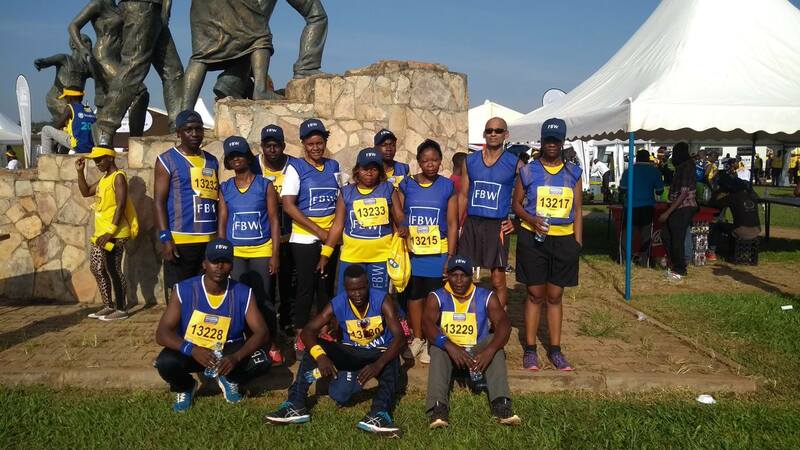 FBW Uganda participated in the 2014 MTN Kampala Marathon with a large team of 42 staff, family and friends. The marathon was held the 23rd of November to help communities in need gain access to clean water. Despite the rain and poor weather, the FBW Marathon Team completed the 10 km race. Congratulations to our fastest male and female runners Dominic Makayo from support staff.